GIMP for Windows 10 - photo editor with support for layers, alpha channels and various color effects. The application consumes a small amount of system resources, includes an extensive set of tools for the operations of geometric adjustment, cropping, adjusting the parameters of brightness and contrast. The program has frame-by-frame mode, saves the change history, allows you to undo committed actions, use elements of vector graphics, apply filters from the internal library. The utility supports graphics tablets and management through key combinations, can work with GIF animation and MNG format. 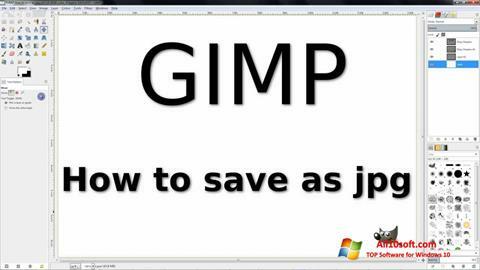 You can free download GIMP official latest version for Windows 10 in English.